DICKENS, Charles; HUGO, Victor; et al. 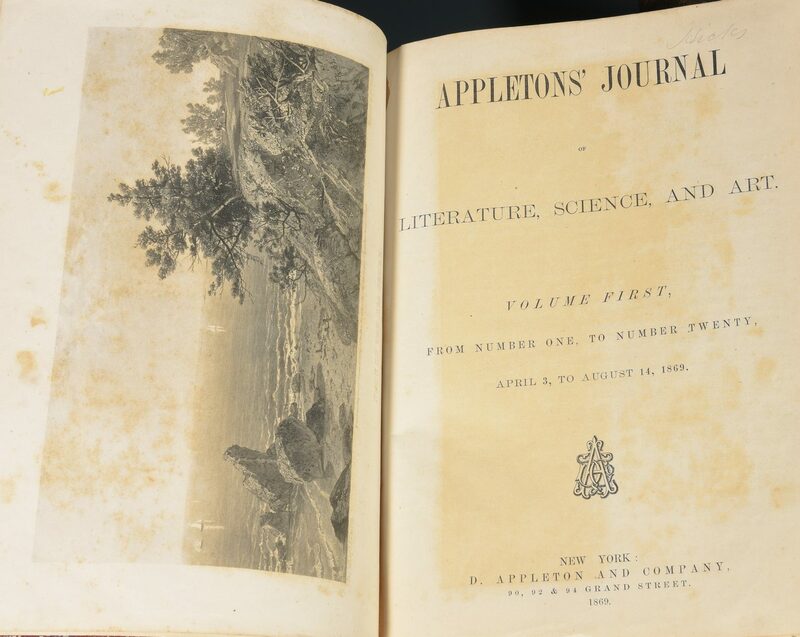 Appleton's Journal of Literature, Science, and Art (Complete First 15 Volume Run). 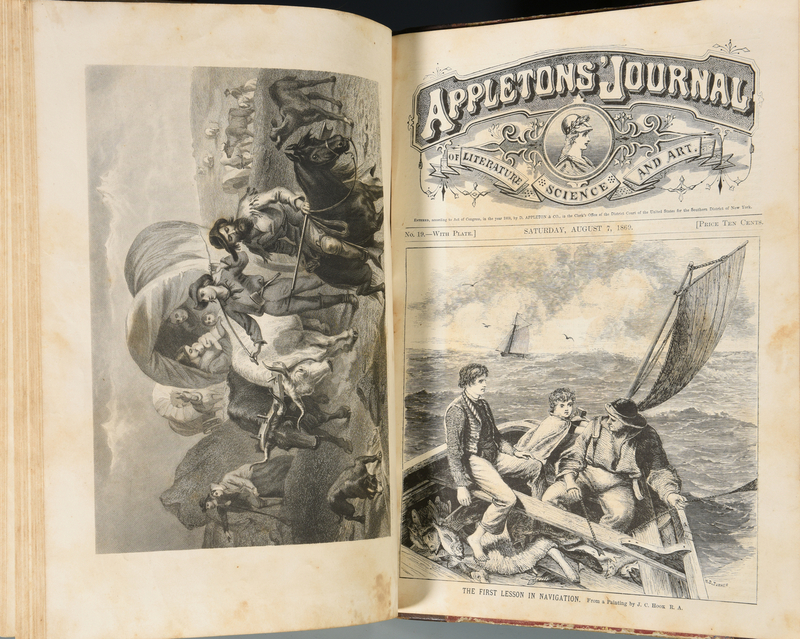 New York: D. Appleton and Company, 1869 – 1876. 8 1/4" H X 11 1/4" W (Imperial Octavo). 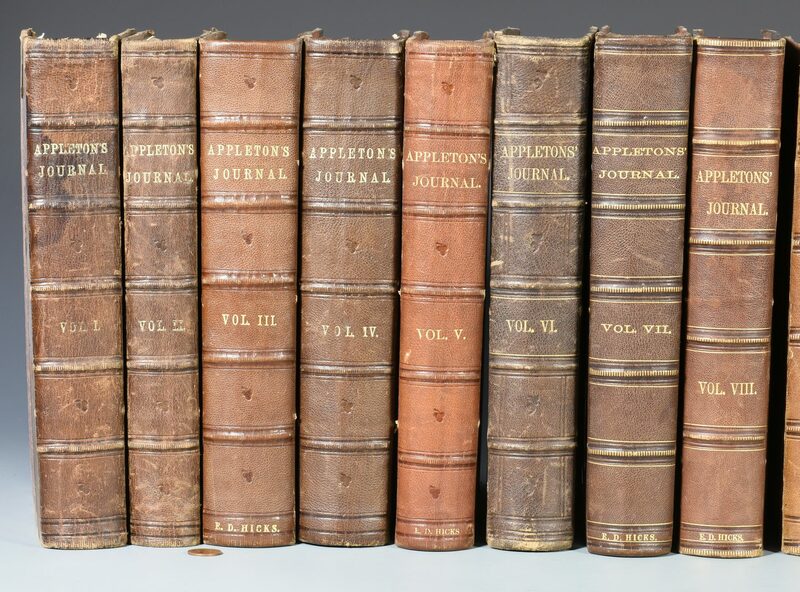 Original First Edition set of the yearly compendium volumes of the monthly magazine. 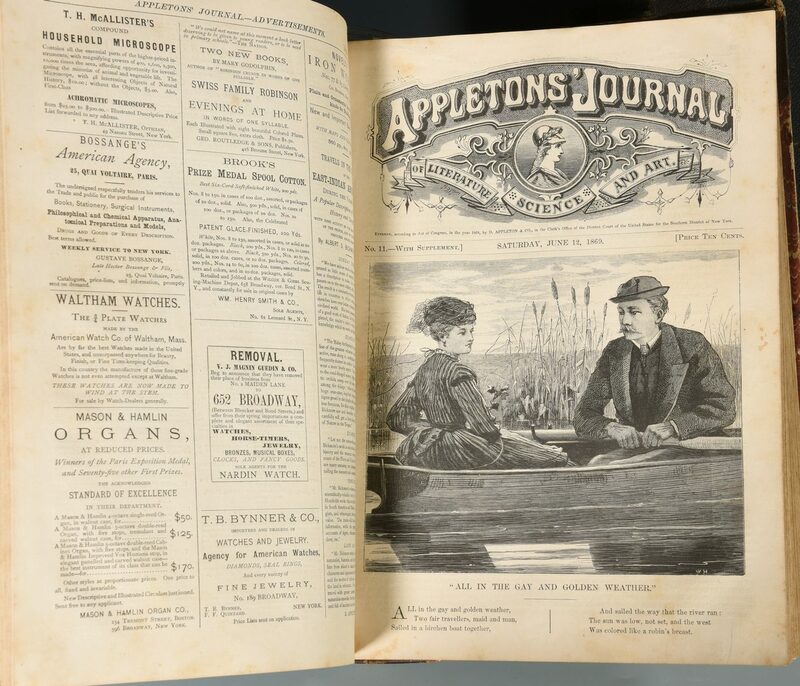 A highly popular lifestyle magazine in the late 19th Century, Appleton's Journal became Appleton's Booklovers Magazine in 1905. Each volume here bound in the period leather quarter binding and tips over marbled boards. Five raised hubs and title in gold to each volume. The first fifteen included represent the first series. 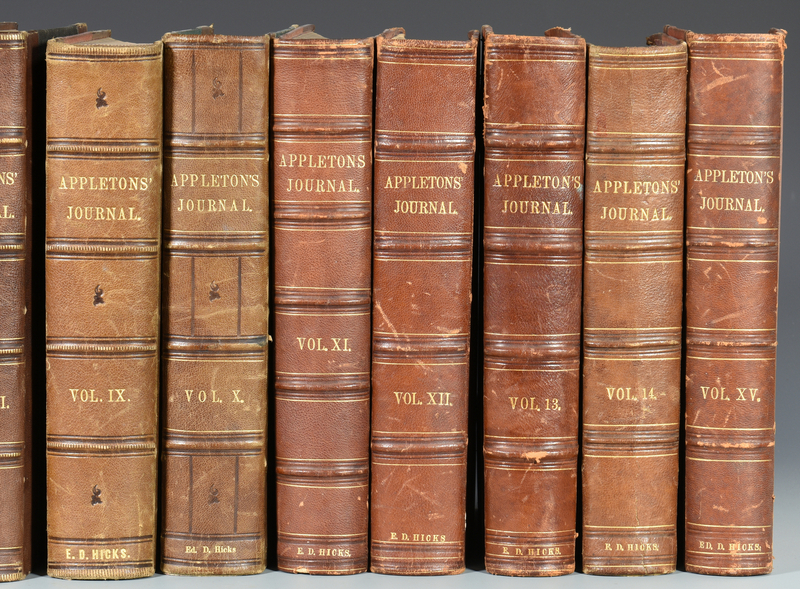 The second series started with volume 16 and ran until the end of the publication in 1881. Thousands of illustrations and many fold-outs. Artists include Winslow Homer, John Filmer and many more. 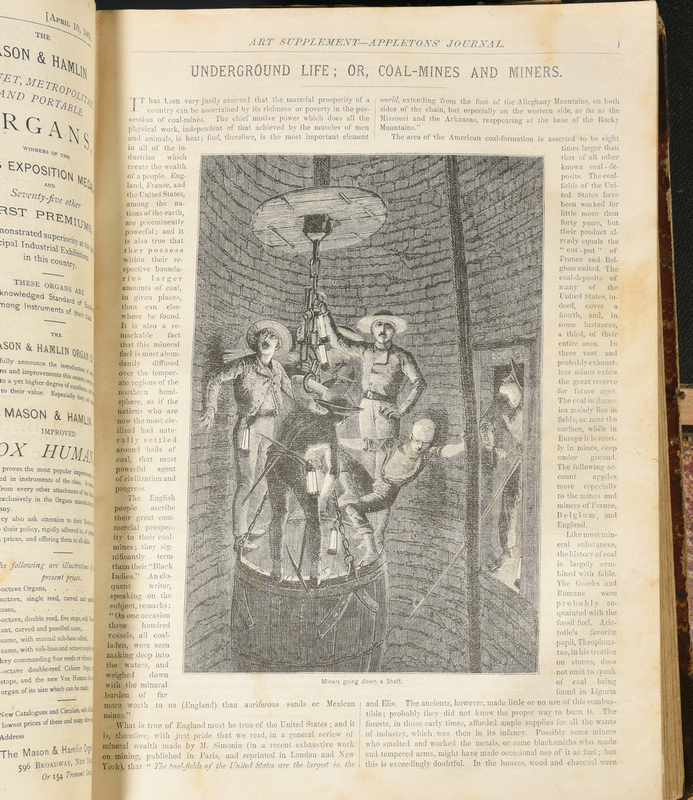 Provides a glimpse of fashion, art, science and city life in the late 19th century. Provenance: the estate of Sarah Hunter Hicks Green, formerly of Historic Devon Farm, Nashville, Tennessee. CONDITION: Condition varies. The volumes themselves are roughly very good with minor foxing, scuffing, and general wear. The plates and illustrations exhibit wear and chipping, tearing on occasion.